You've seen how you use ser to talk about who you are: your personality, your looks, your profession, and your nationality. You've seen how you use estar to talk about how you are. You also use estar to talk about where you are. In English, we're either in or at a place. 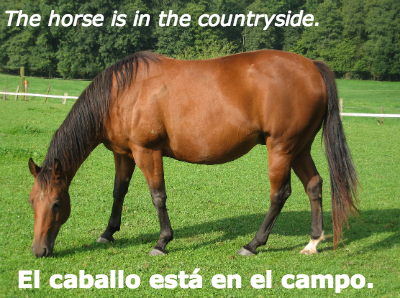 In Spanish, you're always en a location.